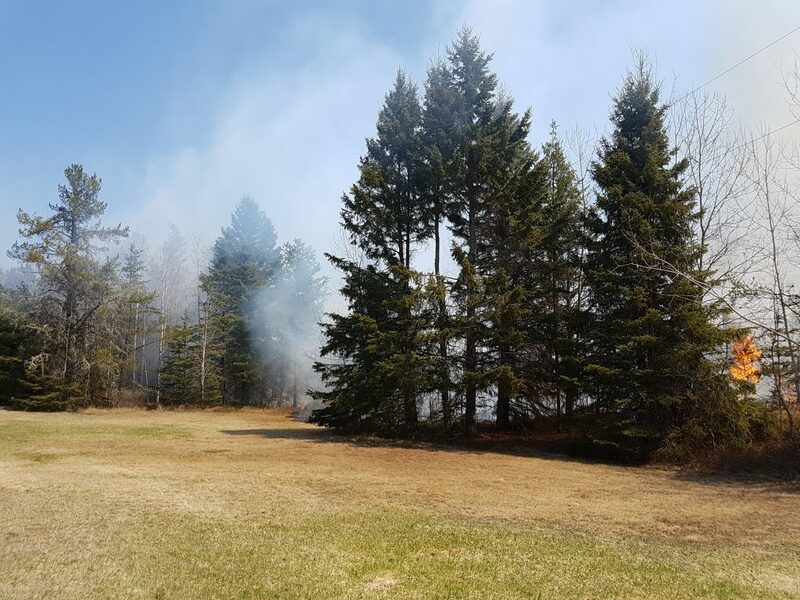 Shuniah (May 16, 2018) – At approximately 2:00pm this afternoon, Shuniah Fire & Emergency Services (SFES) Chief, Blair Arthur, discovered smoke on the horizon in the direction of McKenzie Station Road and put out a call for response. 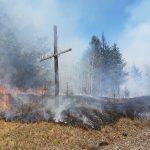 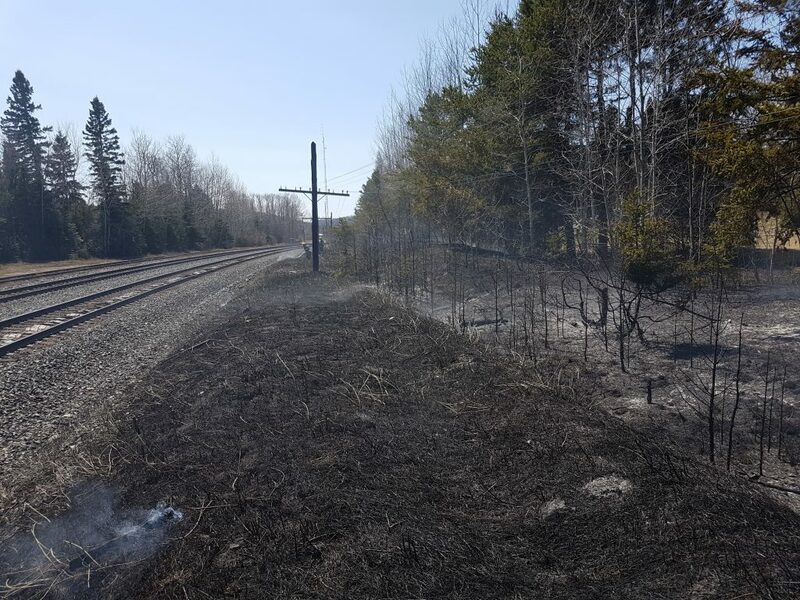 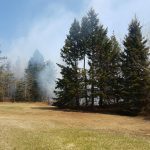 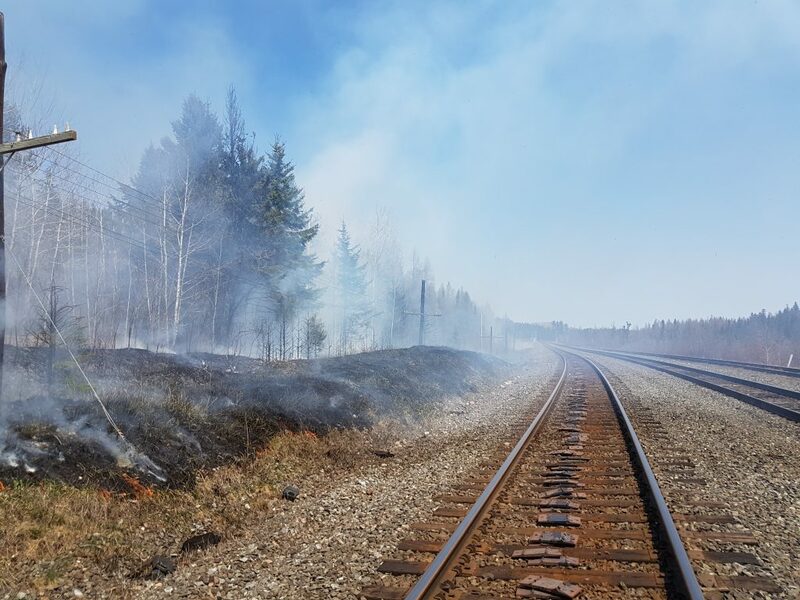 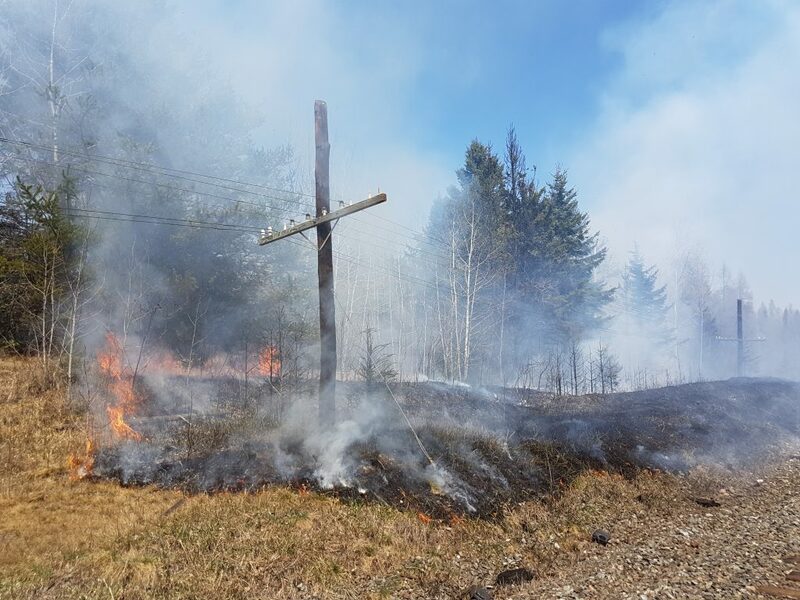 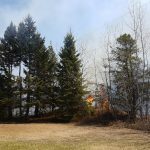 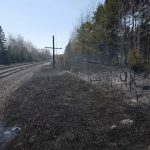 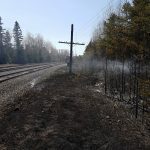 Upon arrival, fire crews reported a wildfire approximately 150 by 15 meters in size along the railway track and within 30 meters of residential structures. 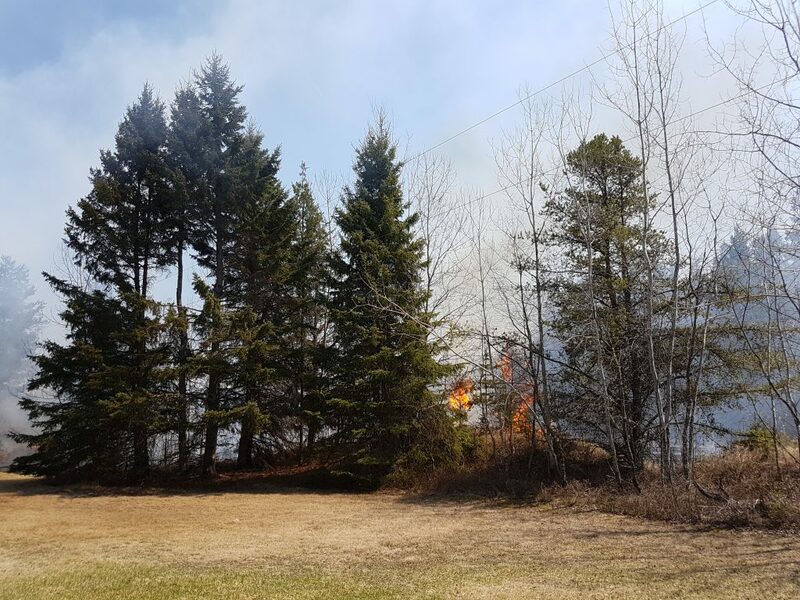 Fire crews quickly started attacking the wildfire with priority on the area approaching the structures. 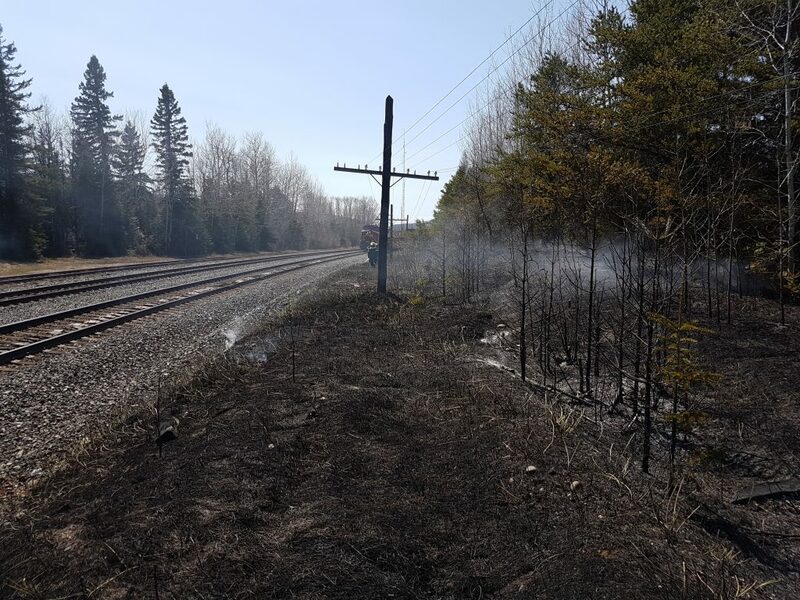 Ministry of Natural Resources – Air, Forest Fire, and Emergency Services (AFFES) crews arrived just before 3:00pm to assist in containing the fire. 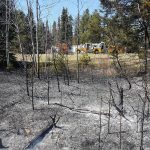 Eight SFES firefighters, one Pass Lake Firefighter, one AFFES Engine, and three AFFES ground crews responded to the call. 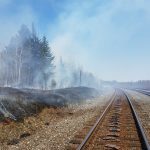 All SFES units were back in service by 5:00pm. 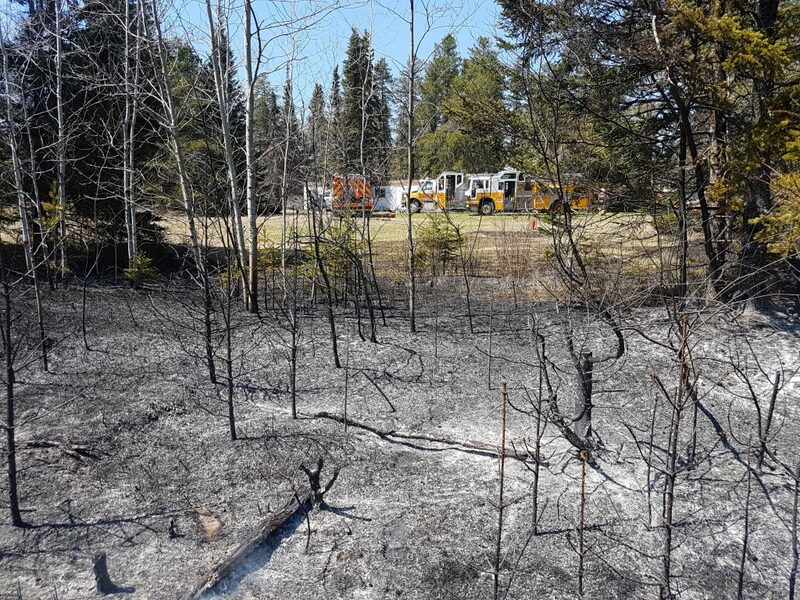 SFES would like to ask the public to remain vigilant for open fires and wildfires during the Restricted Fire Zone and to call 9-1-1 as soon as possible to ensure the best chance of extinguishing a spreading fire quickly.